We help schools and communities develop and implement child protection policies and systems which report and handle incidents of abuse, exploitation or neglect that have occurred in school, at home or in the community. This project also focuses on student engagement; specifically, supporting pupils to become aware of, and confident enough, to demand their rights to protection, and to articulate their concerns within the safe space provided by school health clubs. 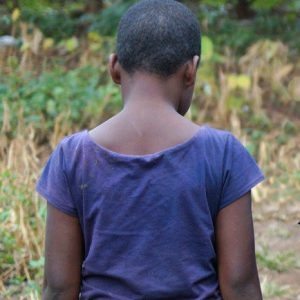 “When I was 10, I was raped by my grandfather. One day at school I heard about a new health club being run under the ERP project. I decided to join, and I learnt a lot – about my health and being confident. After two years’ of membership, I have started to regain the self-esteem I lost the moment my grandfather entered my room.